In my post about Gymnastics Strength Training, I touched on the idea of tempo. We feel this aspect of training often goes unnoticed, and deserves to be highlighted in more depth. It’s easy to add more weight to a compound movement, which is an objective means of measuring absolute strength gain, and demonstrating progress. It’s also much sexier to show this with novelty Crossfit plates which may be lighter than you think they are. Yet, there are also other factors which can dictate and improve relative strength. What I’m talking about is control, and control is synonymous with skill level at different tempos. A good starting point for improving your control involves using isometric contractions. 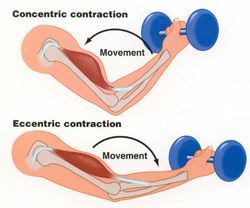 An isometric contraction is the physiological way of explaining a muscle contraction, where the muscle itself does not lengthen nor shorten; it remains fixed in place. You may spend one second pulling up (concentric part), half a second at the top of the bar, and another second dropping and hanging at the bottom (eccentric part). The downside with this approach is that you approach the exercise as a whole, instead of in three distinct phases: the bottom, middle, and top. Approaching an exercise entirely, instead of in parts, can hinder your ability to become stronger and more capable when performing that exercise. Imagine now that you’re a personal trainer, given the responsibility of improving a client’s poor squatting technique. If you asked your client to squat without any helpful cues, they will have a issues. Why? Because you would be ignoring all the physiological “building blocks” that make a person squat well. This can include (but definitely not limited to) their hip, ankle and thoracic mobility. The logical approach would be to focus on and improve one deficiency at a time, instead of all at once. Isometric exercises are no different, and serve a similar purpose. You can see an example of an assisted one arm isometric hold (middle) below. By focusing on only one part of an exercise or movement at a time, you’re specifically targeting weakness(es) and addressing them. This approach will prove useful if you’re experiencing a plateau, requiring you to strip back your training to assess what can be done to continue to move forward. Now that we’ve spoken about control, let’s talk about tempo. If you want to measure your training and progression, tempo can be tricky to nail down. We often use expressions like do it slow and controlled, which is OK, but doesn’t help you much if you’re looking back to see how this tempo has evolved over weeks or months. Here’s a proposed method we’ve always used to measure tempo, which breaks an exercise down into four parts. We assign each of these parts a number in seconds, which dictates how long you will perform it. Thus, to track your tempo changes would mean to alter the above numbers over a training cycle. Got a 4 second eccentric one week? How about trying to work up to 6-8 second eccentrics in the following weeks. This can quickly become difficult, especially when performing bodyweight exercises. Underestimate the power of tempo at your own risk! In our training, altering tempo was particularly important when working towards a one arm chinup. Andrew’s video below demonstrates one arm chinup eccentrics performed with added weight. 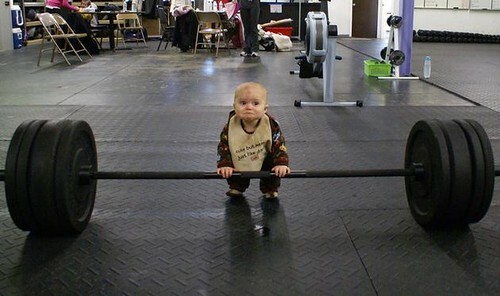 Changing exercise tempo will assist with strength gain, adding difficulty, and even more fun with what you’re doing. Give it a try! Readers, has changing tempo helped you get stronger? Do you actively track exercise tempo as part of your training programs? What’s your take on isometric exercises?